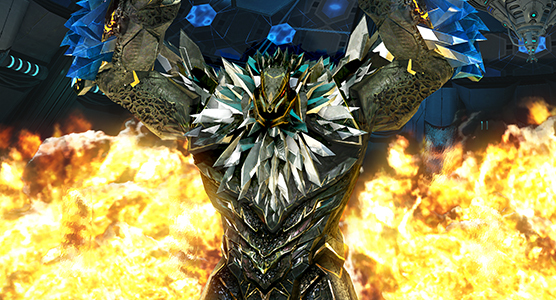 Unlock the complete Defiance experience! 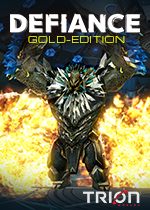 This awesome edition rolls all 5 of Defiance’s DLCs (plus other incredible bonuses) into a single, convenient package. It’s never been easier to start your life as an Ark Hunter! +25 Ark Key Expansion Slots! Earn more loot in-game! +3 Loadout Slots! Customize your ark hunter further! 35 Inventory Slots! Carry more weapons! TMW Hannibal 800R Red/Black! A vehicle to get around in style! Play as a Castithan and use charged weapons. Further customize your Ark Hunter with more appearance options, complete additional Story Mission Lines, and get access to more Pursuits. Explore and fight through arks YOU bring to Earth and battle your way through extra mission lines with Volge Weaponry. Join the elite forces of Yoshida Hiro and become part of the 7th Legion. Fight to liberate Paradise with special weapons, armor, and more. Answer Von Bach Industries' call to arms and battle through Co-op Arenas and story missions to reap rewards from the most powerful weapons manufacturer on Earth. Plunge into advanced and expert events and co-op maps. Hunt deadly enemies with legendary weapons and mods from Chimera, a rising force in the underground arms trade. *All items are rewarded to every character you make! Gameplay requires: (1) INTERNET CONNECTION (SOLD SEPARATELY), AND (2) ACCEPTANCE OF LICENSE AND USAGE TERMS. Provided on a commercially reasonable, “as is” and “as available” basis, without warranties or conditions of any kind. Trion Worlds does not ensure continuous or error-free access, use, or availability of any game content, feature, gameplay, or server and may change, modify, disable, suspend, or remove any such content, feature, gameplay, or server at its sole discretion.